As it became increasingly apparent that the United States could not avoid getting involved in World War II, the US Army stepped up its efforts at modernization and industrial mobilization. Toward this end, the Quartermaster Corps ordered a series of 4-ton 6x6 trucks from Chicago-based Diamond T Motor Car Company. The chassis of the artillery prime mover was adapted for use a dump truck, a long-wheelbase truck to transport bridging equipment, and what would become the US Army's standard medium wrecker during WWII. 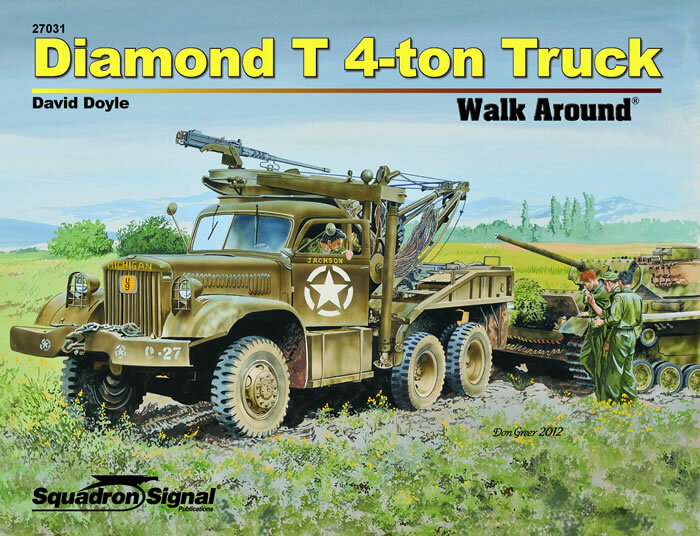 The design of the Diamond T was so successful that it is widely recognized as the forerunner of the Army’s post-WWII M-series trucks, which were utilized for 50 years. For this book, the finest preserved examples of the classic Diamond T were sought out and extensively photographed, resulting in a volume packed with color photographs augmented by five period black-and-white photos. Illustrated with 232 photographs; 80 pages. The M8 'Greyhound' armored car was the only armored car used in substantial numbers by US forces during World War II. 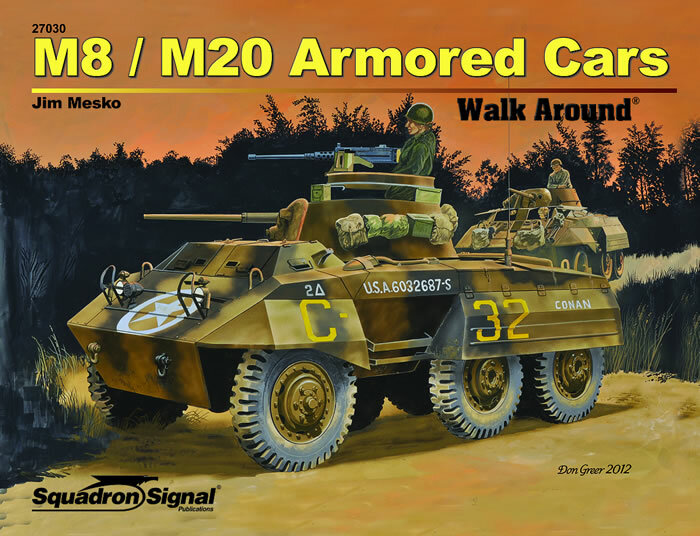 The M20, an offshoot of the M8 design, also played a number of active roles, in particular serving as a command car for high-ranking officers in forward areas. Both vehicles, manufactured by the Ford Motor Company, went on, after World War II, serving US and various Allied forces around the world. Some countries were still using the vehicles at the turn of the 21st century. The M8 featured an open-top turret in which was mounted an M6 37mm cannon and coaxial Browning .30-caliber machine gun. The M20 replaced the turret with an open-topped parapet with a ring-mounted .50-caliber machine gun. When serving as a command car, the M20 packed additional radios and a folding map board. This lavishly illustrated volume is packed with contemporary and historic images that document not only the vehicles' configurations as produced, but also their appearance and activity in the field - the most unique collection of detailed photos of the Greyhound currently available. Illustrated with over 250 photographs, color profiles and detailed line drawings; 80 pages. 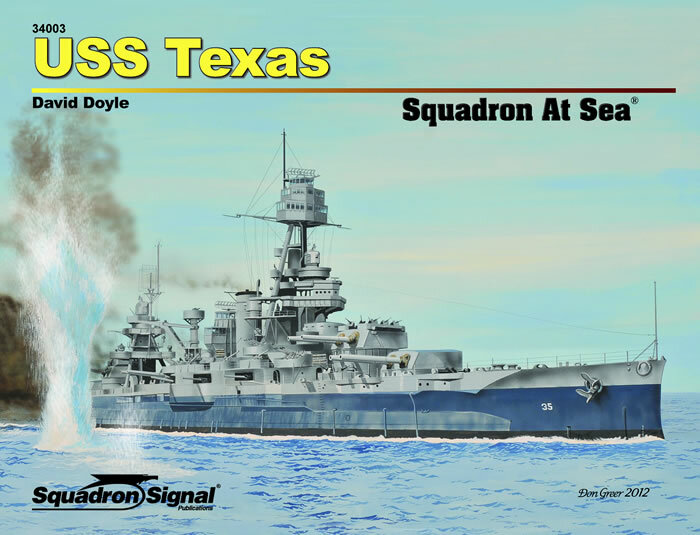 The USS Texas proudly saw combat in both World Wars I and II, and since 1948 has been preserved in her namesake state as memorial to American servicemen. Armed with 10 14-inch guns and displacing 32,000 tons, the battleship is still a formidable sight as she enters into her second century. This expansive volume tells the tale of the Texas and her crew. Loaded with black-and-white and color photos not only showcase the construction, numerous voyages, modifications, combat action, and ultimate preservation of the ship, but also show the vessel as a home, office, and workshop for the men who served as her crew. These historic images are augmented with five line drawings illustrating her key configurations, as well as nine color profiles depicting her aircraft, as well as the many camouflage schemes she wore. Illustrated with over 350 photographs; 152 pages. The USS Lexington - affectionately referred to as 'Lady Lex' - was the United States Navy's second aircraft carrier. 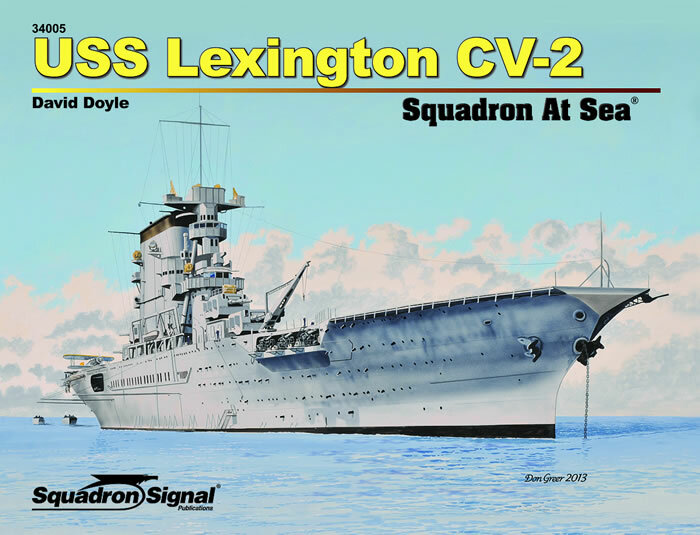 Laid down as the lead ship of the Lexington-class battle cruisers, which were to have been the world’s most powerful warships, the Washington Naval Treaty forbade her completion as such, but permitted her to be finished as an aircraft carrier. Commissioned 14 December 1927, Lexington, with her fabric-covered biplanes deployed to the Pacific. Through the following years both the ship and her aircraft underwent numerous upgrades. These changes, along with her construction, the daily routine of the crew are fully chronicled. The book also describes the transition of both men and machine as the nation plunged into the war, which ended for the Lexington on 8 May 1942, when she sank in the Coral Sea. No other single volume encompasses all the historic images that pack this latest volume. Illustrated with 235 photos, 14 color renderings and detailed line drawings; 104 pages.